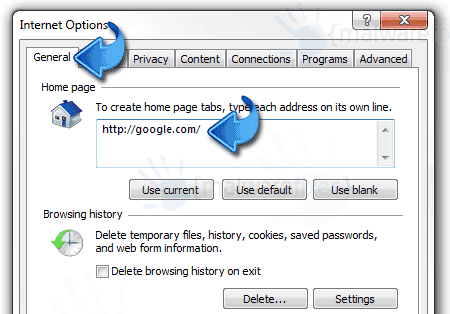 This topic covers the removal of adware from Internet Explorer browser. Most users who required this procedure are those that were affected with malware or potentially unwanted program. Normally, malware and adware are injecting add-ons onto the browser in order to redirect web sites or display unwanted pop-up ads. As long as adware and any potentially unwanted program are present on Internet Explorer, the whole system it at risk. Additional adware can be downloaded automatically using scripts embedded on the browser. You may also experience browser hijacking issues with the sheer intention of delivering dangerous web pages. It is vital to clean Internet Explorer at this point and remove all adware and malware from the computer. Technical expertise about computer troubleshooting is not essential to effectively remove adware from Internet Explorer. You just have to carefully execute what are stated on the procedures and utilize tools as recommended below. Keep in mind to download tools and software only from official web page as stated on this guide. 1. Open Internet Explorer web browser. On top menu go to Tools, select Manage Add-ons from the list. It will open a window showing add-ons currently installed. 2. On the left panel, select Toolbars and Extensions. On the right panel, choose adware or any relevant items and click on Disable. 3. On the same area, select Search Providers on left panel. On the right panel, choose Google, Bing or any preferred Search Engine and click on Set as default. 4. Select adware, and click on Remove. Close the current window. 5. Lastly, change your home page to a web address of your choice. Go to Tools, select Internet Options. 6. Under General tab, locate the ‘Home page’ section. Type your preferred address to be the new home page replacing the corrupt adware. Click OK button to save the changes. 1. 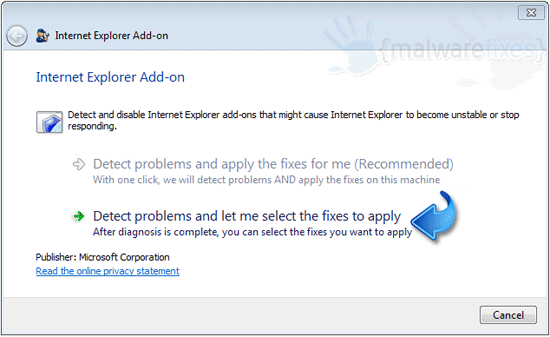 Visit Microsoft Fix It for IE Add-on here and click on Run Now. 2. Click on Accept when Microsoft Fix It launches a window. 3. The tool will install several items on the computer. And then, it will give options on how you want to go on with the tool. 5. 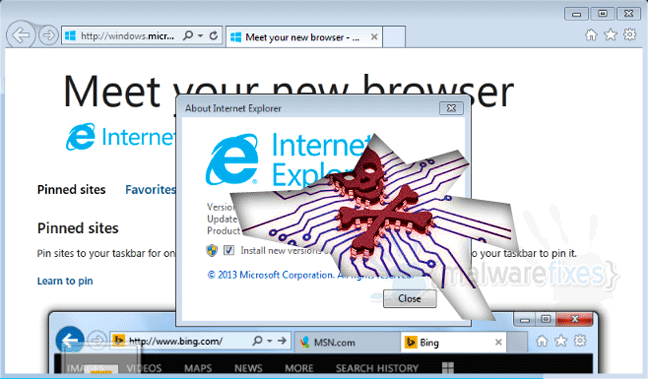 The tool will begin to inspect Internet Explorer for presence of malicious items. 6. 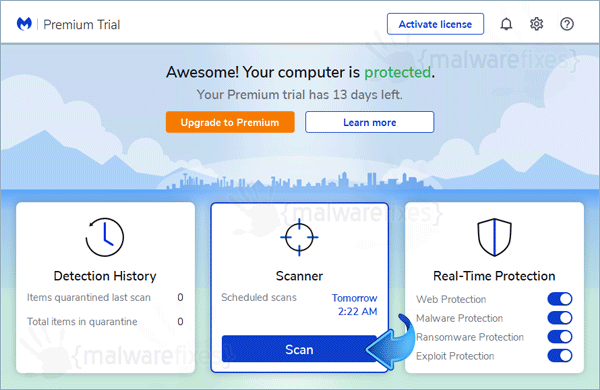 After the scan, select unwanted programs from the list and apply the fix. If the procedures above didn’t resolve the issue, you last recourse is to force a complete reset on Internet Explorer. 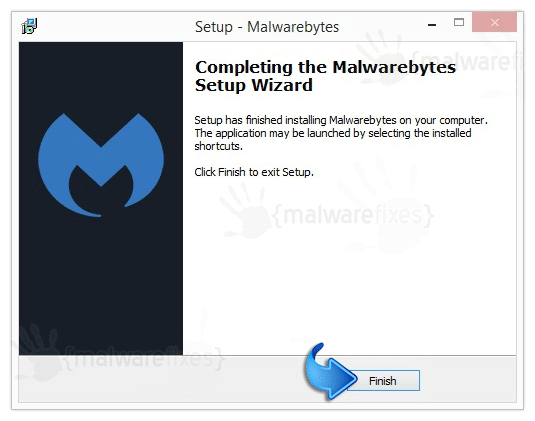 This procedure will reset all changes made by malware. In addition, Microsoft Fix It 50195 also resets home page, search providers, and deletes stored data on history, cookies, and so on. 1. 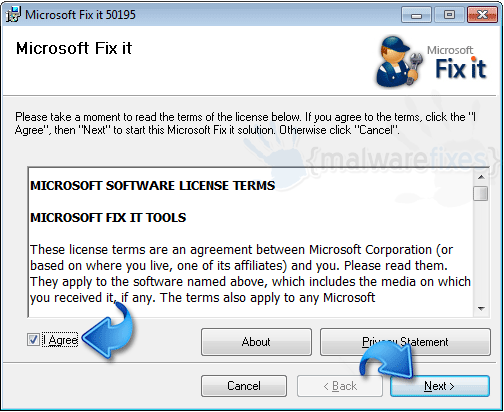 Click this link to download Fix It 50195 from Microsoft web site. 2. Run the tool as soon as downloading is done. 3. On initial launch, the tool will present you with License Terms. Be sure to mark I Agree. Click Next to proceed. 4. The tool will create a Restore Point to save your current configuration of Windows. Then, it will display settings window. 5. 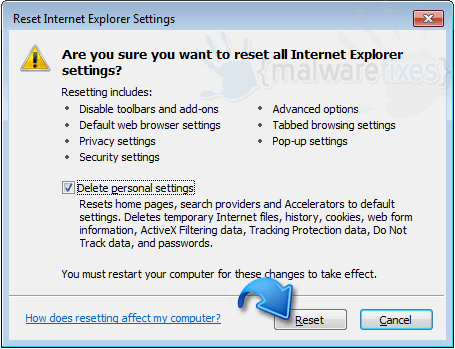 Put a check mark on Delete Personal Settings and click Reset button to give you a fresh copy of Internet Explorer. 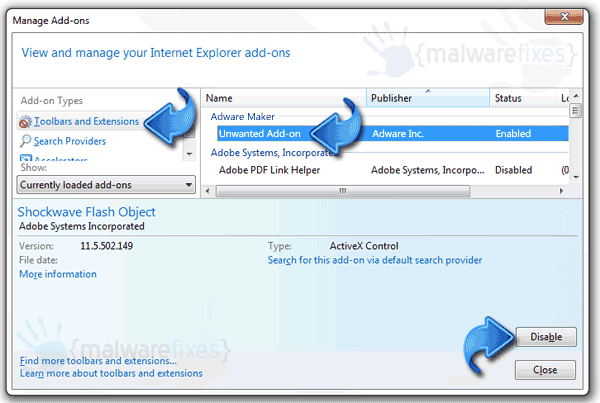 Step 3 : Use AdwCleaner to remove adware from the computer.